Say No to Plastic Toothbrushes. Make the Switch. Go Humble. Right now an estimated 12.7 million tonnes of plastic – everything from plastic bottles and bags to microbeads – end up in our oceans each year, which is equal to one truck load of rubbish per minute! * Alongside these staggering figures, the world consumes more than 3.6 million toothbrushes a year – most of which end up in landfills and oceans. So what can we do to help reduce the negative impact of our daily brushing habits? With a beautiful and simple design that’s made from sustainable materials, the Humble Brush is a serious alternative to regular plastic toothbrushes. The brushes are made from naturally grown bamboo, and as the fastest growing plant on earth, bamboo is the most sustainable material. Aside from being sustainable, bamboo is naturally antibacterial and its cultivation doesn’t require pesticides and fertilizers. 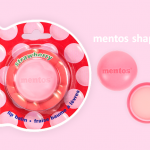 Furthermore, the state-of-the-art nylon bristles are BPA free, and the packaging, like the handle, is completely biodegradable. 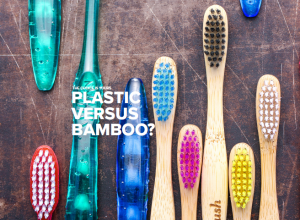 Why would you ever want to buy a plastic toothbrush again? Stop plastics. Be Humble. 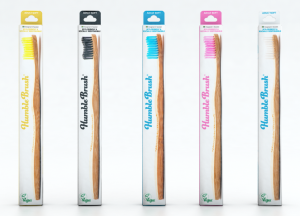 Dental professionals developed the Humble Brush, so it’s no surprise that it’s the world’s number one selling bamboo toothbrush. Humble not only protects the environment but also works to improve dental health across the globe. Funded by the sales of Humble Brush, and with the support of the dental profession, the Humble Smile Foundation works hard to offer comprehensive, preventative oral care to the most vulnerable children around the world. To read more about the Humble Foundation please click HERE. You can find Humble in high street and grocery stores such as Boots, Waitrose, Holland & Barrett and Superdrug. With brushes for both adults and children, please click HERE to make the switch today and order yours online via Boots.com. By choosing to buy plastic-free products, you are humbly contributing to a healthy and sustainable environment. Join the movement. Make the switch. Go Humble.